Ready-mix concrete or RMC or on-site concrete as it is often referred to, is generally manufactured in a batching plant or a factory based on the requirements of the customer. It is then transported to the customer site using specialised trucks which is mounted with in-transit mixers, in an unhardened state. Generally sold in volumes this ready mix concrete is made up of a mixture of cement and water aggregates along with sand, gravel or crushed stones. Have a better service life and also enable saving in the costs incurred during their life-cycle. Speeds up construction: It has been seen that the use of RMC actually enables the project to get completed well before schedule. Cement consumed is less: Using RMC concrete actually reduces the cement consumption by around 10 to 12 percent because of professional handling and precise mixing. The reduction in the consumption of cement means that the production also goes down thereby resulting in lesser pollution of the environment. Versatility of use: This concrete is mixed on the basis of precise requirement and instruction of the contractor. Thus it is tailor made to suit the specific requirements of the project at hand. This increases its utility and versatility since the mixture can be moulded to suit any and every requirement. Reduces human error: The quantity of raw materials required for making up the mixture are all done in the factory. This reduces chances of human error and also makes it a safer alternative to use. Find extra labour and equipment to mix it. The duration of travel might affect the unhardened state of the concrete, some of which might start to set on the way thereby causing some loss. Since a large amount of the mix is generally available in one go, the arrangements for its immediate utilisation also has to be done beforehand. Any inordinate delay might cause the mix to become unusable resulting in a huge loss. There are ways to work around these disadvantages. For example the use of plasticisers or retarders in the ready-mix concrete helps to delay the setting time considerably. Also today more and more people are using smaller in-transit mixers for project wherein the requirements are smaller. All things considered, this concrete definitely has more advantages than disadvantages. Using this concrete definitely increases the sustainability and durability of the structures built. 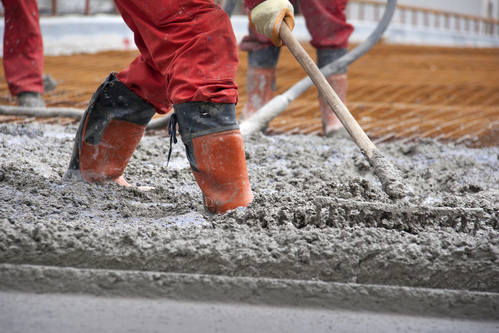 Hence it is always best to hand over the responsibilities of mixing the concrete to professionals who are adept at this and just sit back and enjoy the results.